Boston’s reputation as the quintessential college town is appropriate for a city of constant reinvention. The cycle of beginnings and endings is one that inhabits a central place in the work of the aptly named Boston rock band Ruin/Renewal, who released their Chess Club EP in May 2012, and will follow with their debut full-length Unknow You in October 2012. Joshua speaks candidly about his formative years as a musician, making quiet voice and guitar recordings on cassettes, song ideas he shared with his brother – but only begrudgingly. “Like a lot of new artists, my first instinct was to work in isolation. I thought I could perfect everything on my own…and the thought of anyone hearing it was – a little terrifying.” The demos piled up. 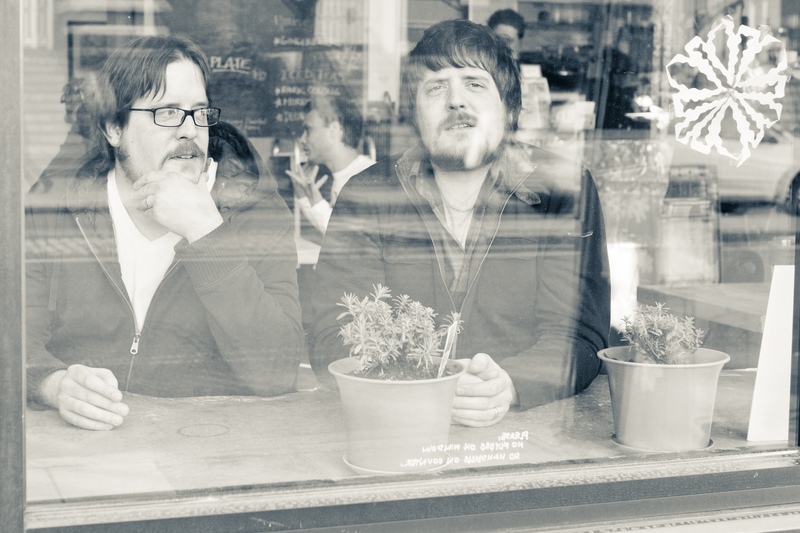 Unlike Pritchard’s earliest, acoustic driven work, Ruin/Renewal’s self-titled debut EP (June 2011, Burst & Bloom Records) was a raucous affair, recorded live as a three-piece. “When I got the band going, we loved to play loud,” says Joshua. “Leaving the acoustic guitar at home felt good – I reveled in it.” The recording features Brett Bashaw (drums) and Joshua Homer (bass guitar). The band’s roster has experienced various iterations. Drummer Jon Glancy (A Bit Much, Mount Peru) joined the band in April 2012. The EP’s first single “Proverbs” earned the number one spot on the Boston Emissions “Favorite New Local Song Poll” (WZLX-FM) for the week of December 3, 2011 – less than a month after its release. The tracks “One of the Four Humors” and “No Blues” also garnered attention – notably from WMBR’s “Pipeline!” hosted by Jeff Breeze. The radio program has served as Boston’s premier source for local music for decades. The band performed live on the show in November 2011. Ruin/Renewal has performed throughout Boston area, including such venues as TT the Bear’s Place and the Worcester Palladium. The band has also performed at numerous venues in New York, including Arlene’s Grocery, Lit Lounge, and the Trash Bar. In 2011, they performed as part of the O+ Festival in Kingston, New York. Ruin/Renewal released its debut full-length album in October 2012.